As we take care of our physical appearance, we should also take care of our bones which are the most important part of our body. Keeping in view today’s lifestyle; we hardly take care of our bones’ health which is actually associated with many health issues. 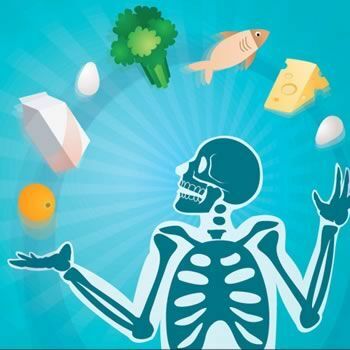 While it is important to have knowledge about the foods that can maintain good bones health, it is equally important to have know-how about the foods that one should avoid. Healthy food means healthy bones, and healthy bones are the sign of healthy life. We all know that exercise and walking is extremely important for maintaining bones health, but if you are not avoiding the detrimental food for your bones, all your effort will go in vain. Though, it may sound strange, but healthy food intake plays an important part in keeping your bones healthy, as harmful ingredients in foods will silently damage your bones health. When it comes to the healthy food, we all know that milk, dairy products and fish are excellent for strong bones. Following are some of the detrimental foods for your bones that you must avoid for better bones health and strength. Foods that contain high sodium should be avoided as salt is known to cause excessive calcium excretion through the kidneys. The more you eat high sodium foods, more you will hurt your bones health by losing calcium. Some of the over-salty foods are processed foods, crackers, snacks, chips and condiments. Though sugary snacks are tough to say NO especially if you are a sweet tooth, but if you want to keep your bones health, you should try not to go overboard. Sweetened foods are detrimental for your bones as high sugar intake inhibits calcium absorption and reduces phosphorus, another mineral significant in facilitating calcium absorption. However, you can satisfy your crave for sweet with some healthy foods like cranberries and other fruits, which are rich in antioxidants and also support bone health. Sodas and colas may satisfy your taste buds, but they are big harm for your bones health. If you are a soda addict, you should try to limit yourself with less than seven colas per week as greater intake will reduce bone mineral density which can make your bones fragile and increase the risk of fracture. Colas can be dangerous for your bones health, as they contain phosphoric acid which weakens the intestines and reduces the absorption of calcium. You can replace your colas intake with some healthy foods such as a seltzer mixed with fresh fruit juice. Another detrimental food for your bones health are the ones loaded with caffeine. If you are a caffeine-crazy, you must know that caffeine actually harm your bones health by leaching out calcium and strength from your bones. Every 100 milligrams of caffeine intake will sap out almost 6 milligrams of calcium from your bones. Caffeinated foods and drinks become more dangerous for bones health when they are combined with sugar. To maintain good strength of bones, you should avoid high consumption of caffeinated coffees, teas and chocolates. Though, beans are considered as one of the healthy foods, but they are simply not a good choice for you if you are suffering from issues related to bones health such as osteoporosis or arthritis. The more you eat legumes, the more you are potentially preventing your body from absorbing calcium. Almost all kinds of beans including pinto beans, navy beans and peas are rich in substances called phytates, which can interfere with the body’s ability of absorbing calcium. However, beans are also rich in magnesium, fiber and other beneficial nutrients which make them healthy foods formaintaining overall health. In order to maintain the strength and health of your bones, you actually don’t need to avoid them altogether. However, you can reduce the level of phytate in the beans by soaking them in water for a few hours before cooking them in fresh water. Canadian folk music awards now accepting submissions for 2011!